Our third Birthday is coming up on the 20th and we have some fun things planned to celebrate. 1-3pm we will have Ronnie (ronnie.pawpad) live mixing Electro-house, progressive house, and trance. 3-5pm Cow 1301 (xandria0079) will be bringing a mix of the 80’s, 90’s and some club tunes to finish out our night. During the party we will have two drinking contests to win some great prizes so keep an eye out for the details of that. A production bonus will be running for the mused region for the duration of the party. 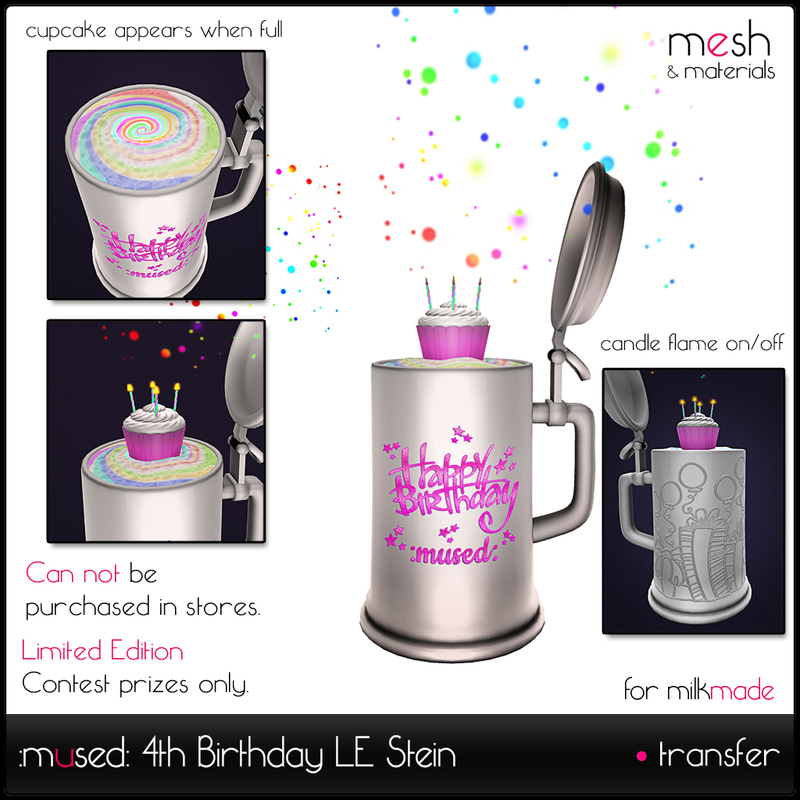 We will also have a milk sploder out to win some extra liters while we shake our milk makers and celebrate three great years. Come on by dressed to the nines or in your Birthday suit and party with us for our Birthday. Through out the week of the 18th to the 24th we will have some fun things to do, win, and get to celebrate, more details on all those goodies to come.